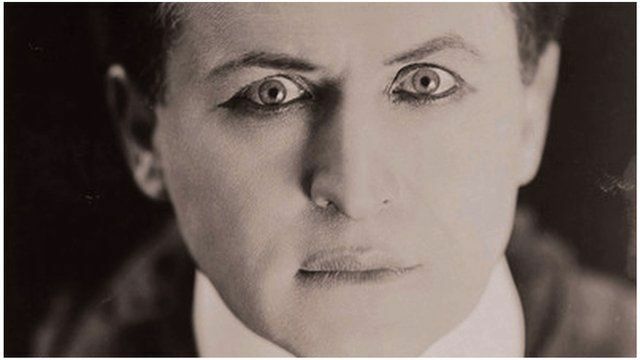 Houdini and the history of magic Jump to media player Mike Caveney, a professional magician and co-author of Taschen Books's Magic: 1400s-1950s, told the BBC how magicians have entertained us for centuries. 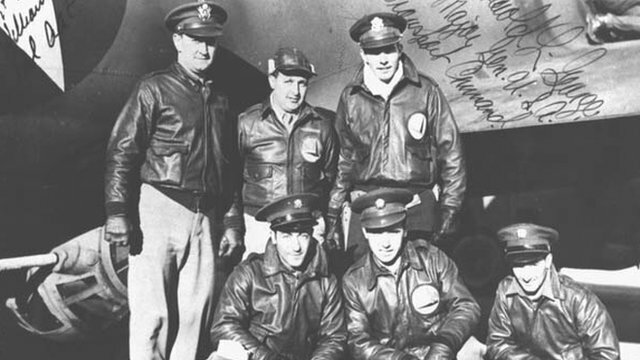 WWII pilots survived crash on glacier Jump to media player Author Mitchell Zuckoff tells the BBC about the remarkable series of rescue attempts after US planes crashed on a glacier in Greenland during WWII - and how some of the crew survived an Arctic winter on the ice. 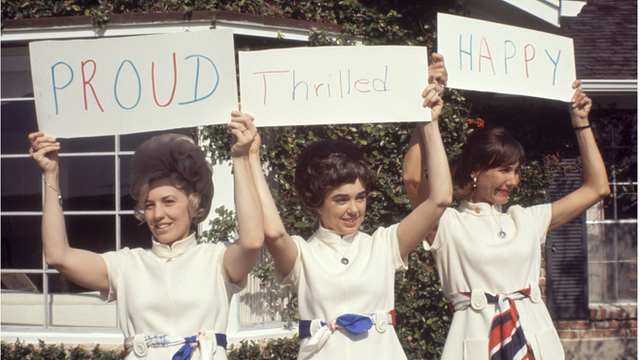 Secrets of the astronaut wives club Jump to media player Author Lily Koppel tells the BBC about the Astronaut Wives Club, the women behind the first American men in space. 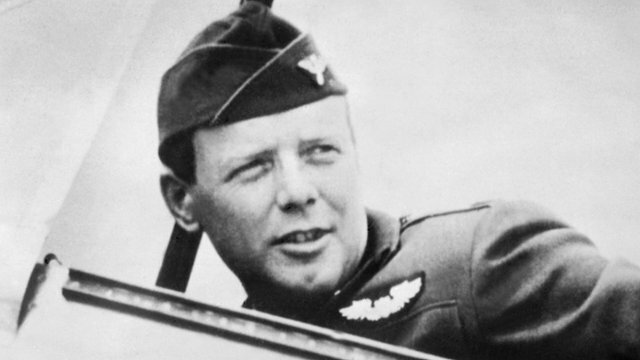 Lindbergh, Nazis and US isolationism Jump to media player Lynne Olson, author of Those Angry Days, says the debate over whether the US should enter WWII was the most violent political debate of the 20th Century. She told the BBC why Charles Lindbergh championed the isolationist cause. 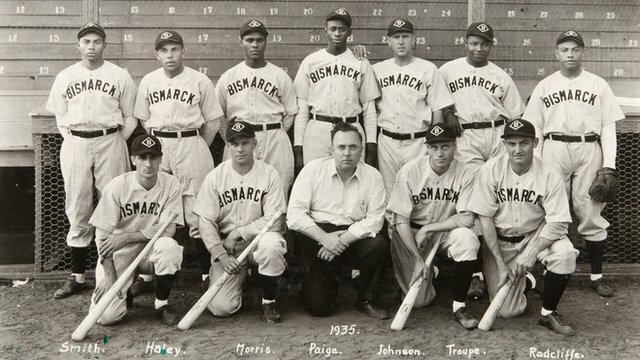 Breaking baseball's colour line Jump to media player At the edge of America in North Dakota, one man's passion brought together six white men and six black men on the country's first racially integrated baseball team. Humans have always been fascinated by magic. We all live by the same physical rules of the universe, and when someone breaks them we watch open-mouthed, stunned into silence. Mike Caveney is a professional magician and co-author of Taschen Books's Magic: 1400s-1950s, in which he uses photographs and illustrations to show how spirit invokers, sleight of hand experts and illusionists have entertained us for centuries. He says magicians have adapted their craft to their environment as performances have shifted from the streets to the great Vaudeville theatres and on to TV and YouTube. Caveney told the BBC that while modern magicians may not be superstars on the scale of Harry Houdini or Carter the Great, they are still creating new stunts and tricks that leave audiences asking "How did they do that?"